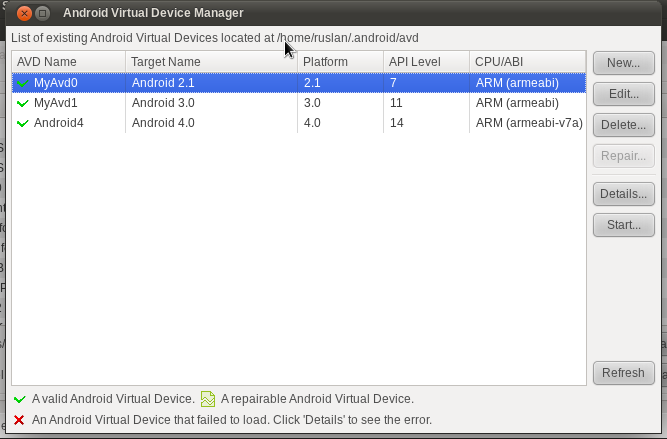 Here I'm going to describe a simple way to decrease a start up time of the Android Emulator. This is possible after snapshot saving and loading option is enabled. Select your working AVD from the list and click on "Edit" button. 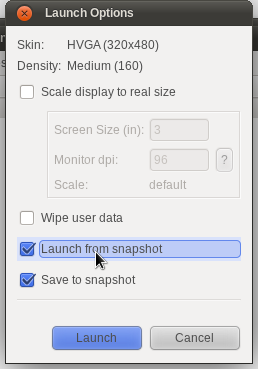 In the opened dialog check on to enable Snapshot. Save changes. Then click on the "Start..." button and check "Launch from snapshot" and "Save to snapshot" options. If you haven't enabled "Saving to snapshot" option before, it may take a time to start the emulator first time. After it is started, you can close it and start again. This time emulator will be started much faster.